Hello there folks! Jerm here with an update for you on my Alma Mater, the University of Tampa! As you may or may not know, the University of Tampa just oozes excellence as do its alumni and student athletes (I myself am evidence of this). 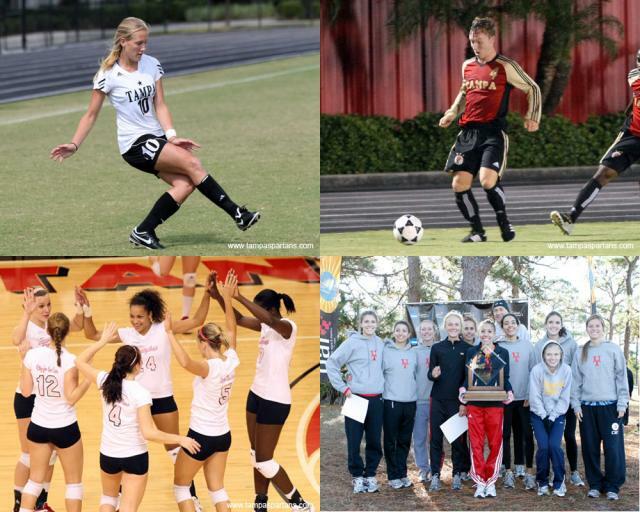 This past weekend the University of Tampa Women&apos;s & Men&apos;s Soccer, Women&apos;s Volleyball, and Women&apos;s Cross Country teams all won conference titles! Click below to see the articles etc and the details on each victory, but this is indeed a pretty awesome occurrence! Next up for each of these teams is post season play, so for more information on that, be sure to check out the www.TampaSpartans.com, website for updates on seedlings and game times! GOOOOOOOOOOOOOO SPARTANS!!! That&apos;s all for now folks, but be sure to stay tuned in for more updates on the Tampa Bay Sports scene and things to do in Tampa Bay!